We know from talking to clients that you want the best of our professional's insight, ingenuity and creativity to help solve the specific challenges that you have as individuals and or businesses. So we have worked hard to implement processes that guarantee consistency for you, and give our knowledge workers the space to think creatively about solving your problems. Bespoke problems deserve bespoke solutions. 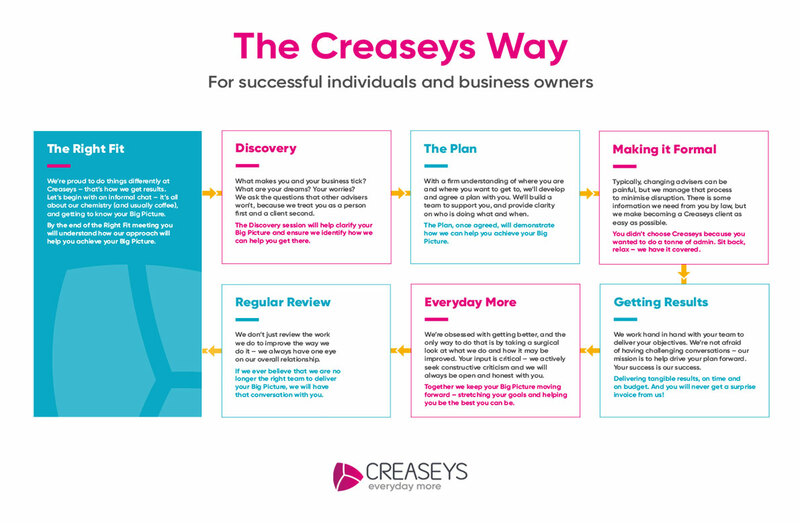 Sitting on top of all this is what we call ‘The Creaseys Way’ which defines our approach to client relationships. We want to work with individuals and businesses who are prepared to share their dreams with us as well as their challenges. 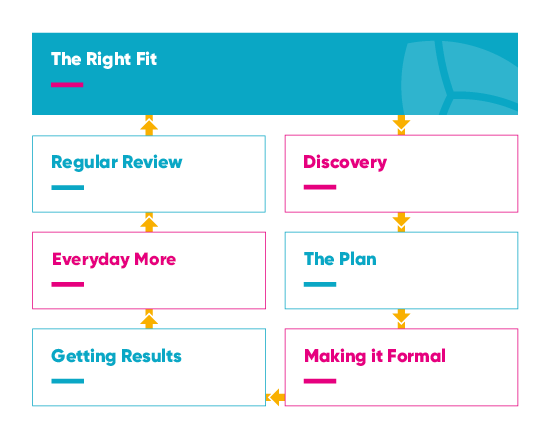 This process ensures that we get to the bottom of the motivation behind your ambitions. Doing so means we can develop a relationship with you. We don’t think of you in terms of just another series of instructions, and we don’t want you to think of us as just another firm of accountants.